Travaglini’s 1975 Gattinara is a poignant reminder of the exquisite beauty Nebbiolo is capable of developing in bottle. Translucent and weightless in the glass, the 1975 opens with a soaring, exotic bouquet of orange peel, mulling spices, alpine herbs, rose petal and crushed raspberries. On the palate, the 1975 is lithe and gracious, with sublime nuance throughout. A kick of acidity on the finish is a reminder this is Nebbiolo from Gattinara, a tiny appellation that was, curiously, once far more renowned than it is today. 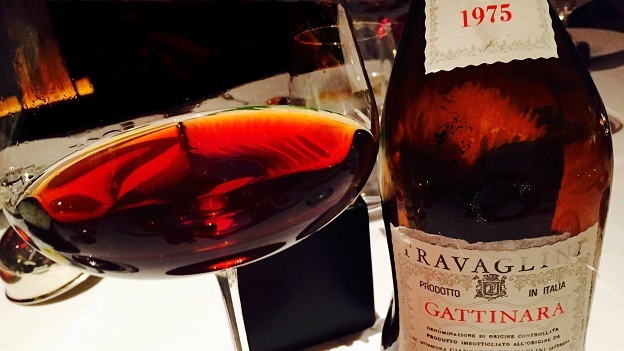 At their finest, wines from Gattinara can be hauntingly beautiful, as Travaglini’s 1975 states so eloquently. Today, the 1975 is peaking. I can't imagine it will become meaningfully better in bottle, but it should hold at this level for another handful of years, perhaps longer. This is a fabulous showing from a long, long-forgotten vintage. 93/Drinking window: 2015-2020.